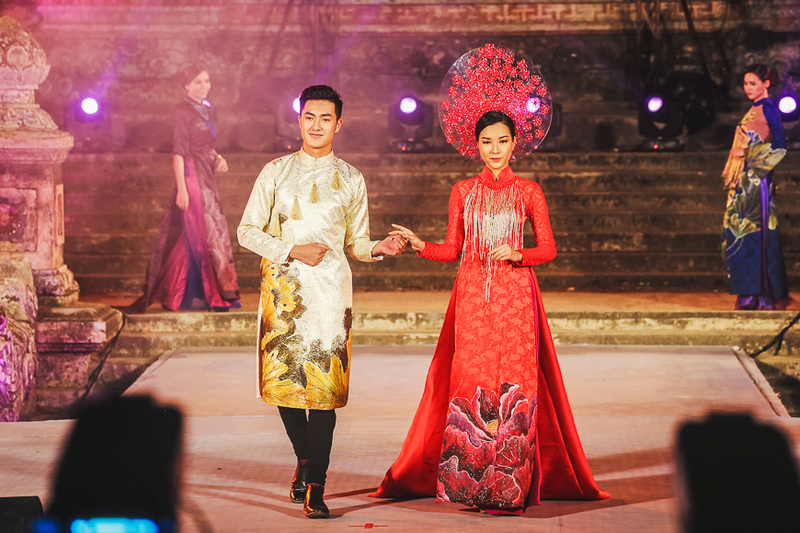 Vietnam’s festivals and holidays are colorful experiences, often showcasing national heritage, music and dance performances, and high-energy activities such as dragon boat races and street parades. 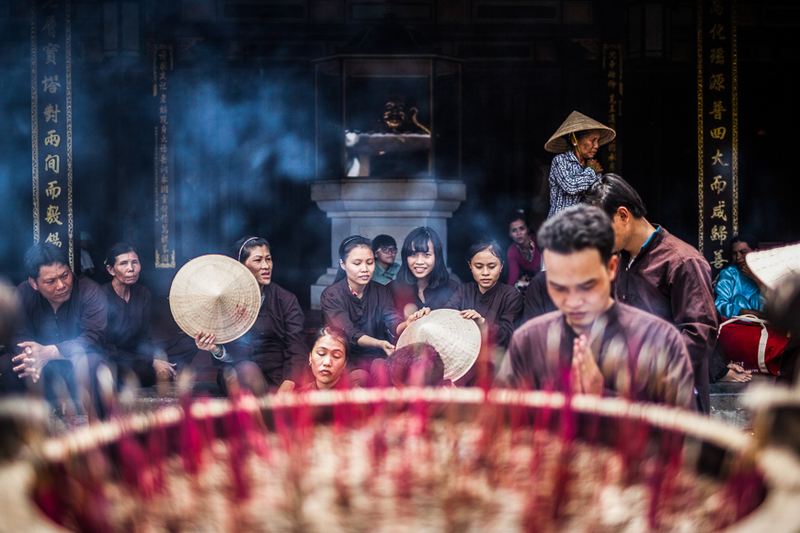 Take part in the fun and learn about the legends that have shaped Vietnam by joining one of these celebrations during your trip. Here are the top 10 festivals to add to your Vietnam itinerary. 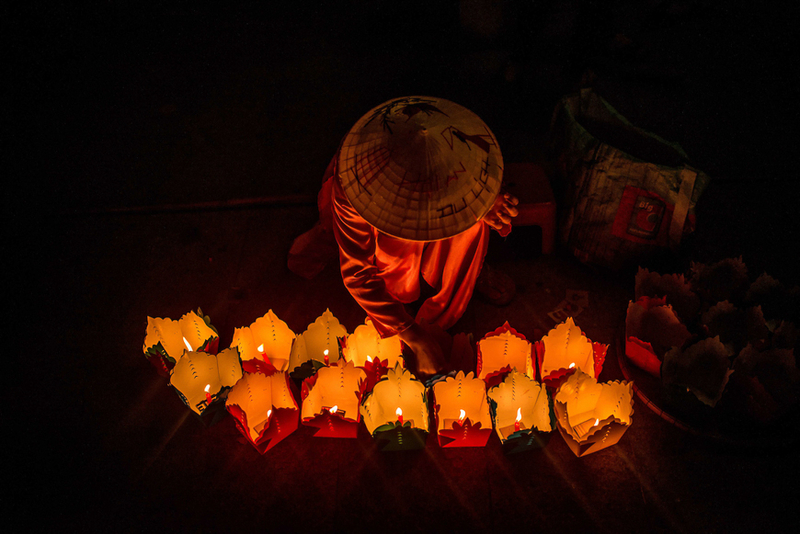 The Lunar New Year, or Tết, is Vietnam’s largest and most important festival. Emphasis is placed on family with many returning to their home town to celebrate. Yet Tết still offers plenty for travellers to enjoy throughout the country. Usually falling in January or February, Tết Eve is the most important day in the lunar calendar and the excitement is palpable! Join the fun by enjoying the outdoor flower displays and toasting midnight fireworks with locals. Tết is always held on the first day of the first month of the lunar calendar. A jovial celebration of spring, the Lim Festival commemorates the festival founder while highlighting the unique culture of the Red River Delta. The festival has a remarkable ritual: quan họ. Quan họ folk songs are preformed by traditionally dressed men and women who serenade each other from aboard dragon boats. Sit back and listen to their haunting voices carry across the lake. The Lim Festival is held on the 12th or 13th day of the first lunar month. TIP: If you’re in Hanoi around February, you can find the Lim Festival an hour’s drive east in Bac Ninh Province. The former capital of Vietnam and home of the last Vietnamese dynasty, Huế is rich in cultural heritage. The Huế Festival or Huế Craft Village Festival takes place alternately every year in April. During the Huế Festival, history comes to life in spectacular performances at the Citadel and around the city. The Huế Craft Village Festival features exhibitions of artisanal crafts that have been made in surrounding villages for centuries. 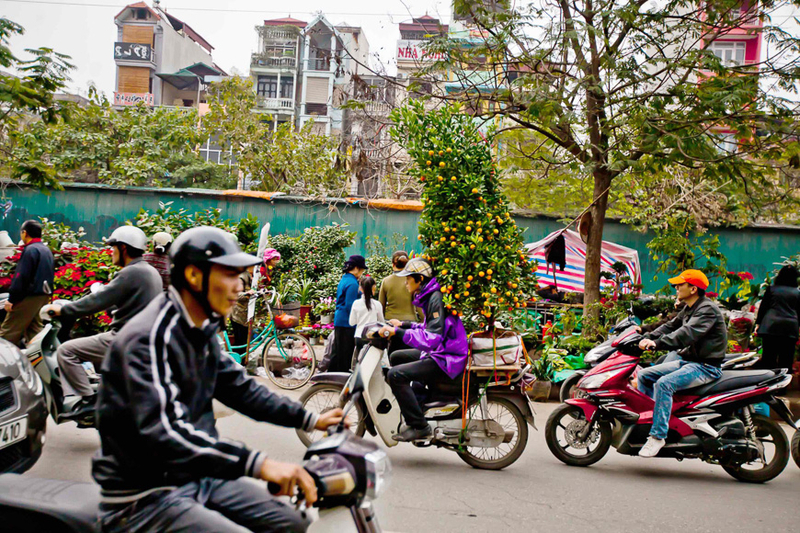 Huế's annual festivals are held over a week from late April to early May. The Hùng Kings Temple Festival commemorates the first king of Vietnam. King Vương is legendary and his origin story is celebrated every year in either April or May as a testament of Vietnam’s epic history. To join the festival, travel to the Hùng Temple in Việt Trì City, where you can witness hundreds of lanterns set aloft into the sky on the eve of the festival. The day of the festival, watch as processions of pilgrims make their way up the mountain. Hùng Kings Day is from 8th to 11th day of the third lunar month. The beautiful valley of Mai Châu is the scene of the Xến Xó Phốn festival between April and May each year. The festival belongs to the calendars of the White Thai people, a minority group and is essentially a ritual to call for rain. This is done with a variety of songs and offerings made throughout the village. Local lore states that the bigger the festival, the heavier the rains and the more prosperous the harvest. The Xến Xó Phốn Festival takes plan in the 4th lunar month. The Vietnamese believe that on one day in late August or early September, the spirits of ancestors return to visit their earthly homes. This moment where the spirit realm opens is at time to pay respects to the dead. The night before Wandering Souls Day families will offer prayers, flowers and fruits at the graves of their ancestors. Paper money and clothes are burned for spirits to use in the afterlife. The Ghost Festival is on the 15th day of the 7th lunar month. TIP: While practiced throughout the country, Hue’s pagodas are an atmospheric place to witness the ritual of Wandering Souls Day. Sept. 2, 1945 was the day Ho Chi Minh declared the Independence of the Nation of Vietnam from France in Hanoi’s Ba Dinh Square. This annual celebration commemorates that historic moment with patriotic displays and flags adorning alleyways throughout Vietnam. 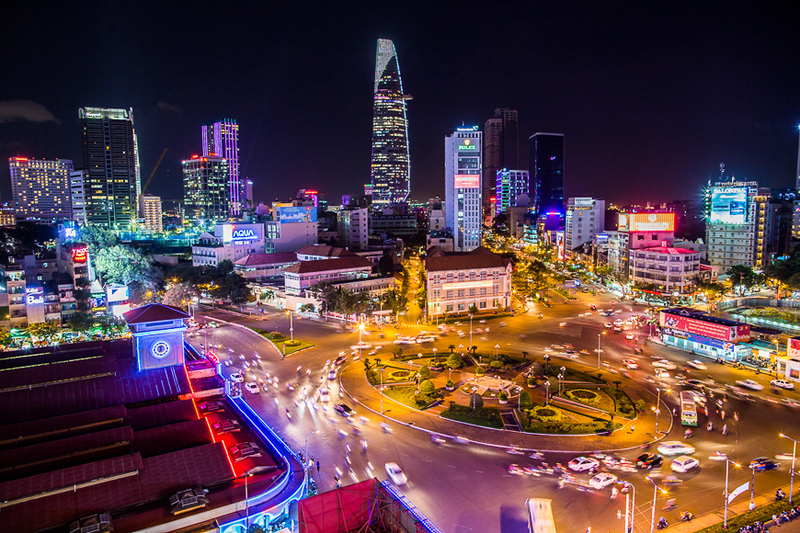 Major cities such as Hanoi and Ho Chi Minh City hold parades during the day and light fireworks at night. Everyone is out in the streets celebrating, and travellers are welcome to enjoy the festivities too. Vietnamese Independence Day is on September 2. Children are the stars of the Mid-autumn Festival as an abundance of toys, paper lanterns and masks are given out as playthings. Celebrated between September and October, this joyful day is known for its lion dances and lantern processions. Many families gather in their gardens with tea and sweets to watch the harvest moon and enjoy performances from passing dance troupes. The Mid-autumn Festival is held on the 15th day of the 8th lunar month. TIP: Hoi An’s UNESCO-listed Ancient Town is a magical place in Vietnam to mark the Mid-autumn Festival, as boats and lanterns float down the Thu Bon River. In early December, the Khmer living in the Mekong Delta of Vietnam stage a lively festival known as Oóc Om Bóc. Celebrated in Sóc Trăng province, where Khmer culture is everywhere, this festival offers an incredible glimpse into Vietnam’s diversity. Look out for activities thanking the moon god for the year’s harvest, as well as feasting, singing and dancing. Crowds of thousands gather for the festival’s highlight: A thrilling ‘Ngo’ boat race. Oóc Om Bóc is marked on the night of the 14th day of the 10th lunar month. 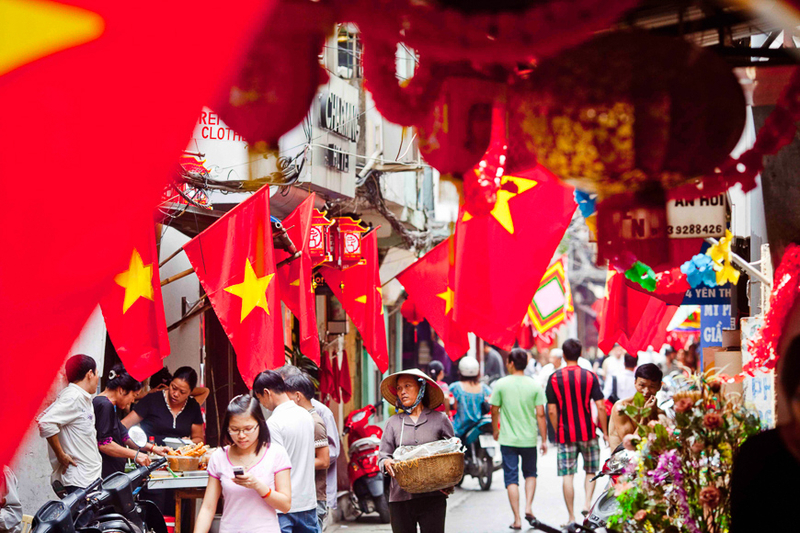 Fortunately, Vietnam celebrates both the Lunar New Year and the Gregorian New Year, raising the chances for double the fun throughout the country. Despite the cultural importance of Tết, everyone is always thrilled to ring in the first day of a new calendar. For a memorable New Year’s Eve in Vietnam, head to a major city for fireworks, live concerts and streets teeming with locals in a party mood.